48-inch LED Smart Samsung TV with HD in living area; flat-screen TVs in king and in queen bedrooms. Living area and king and queen bedrooms have flat-screen TVs. Living room has a 48-inch LED Smart Samsung TV with HD. Some board games and cards available. Pool and beach toys in garage. Water's Edge has a dock where you can launch a kayak. There are kayaks for rent on the island. Pack and Play, Two Booster Seats, Baby Gate, Radio Flyer. Small playground on site; two larger playgrounds located .5 miles and 1 mile from town home. 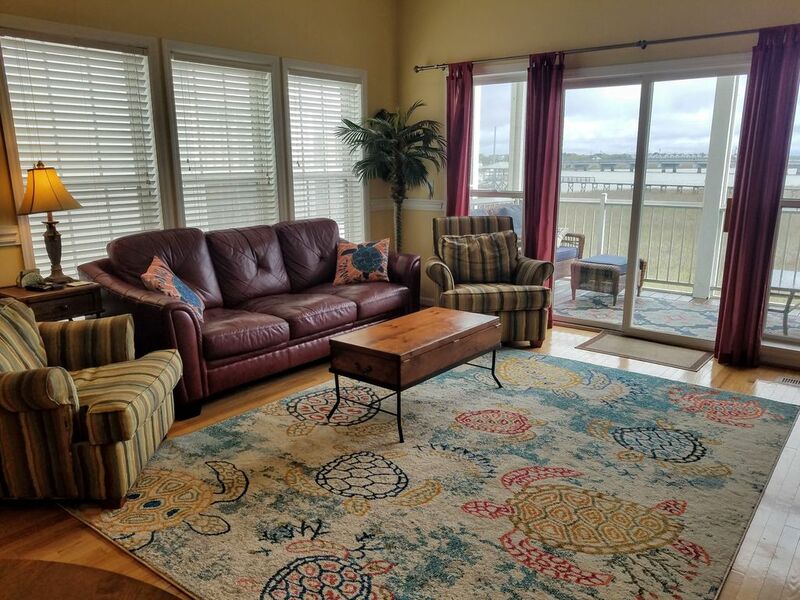 We are an easy 15-minute drive to Charleston and a short 4-block walk through quiet, tree-lined streets to six miles of beautiful public beach. Other islands nearby to visit include Edisto Beach, Kiawah, Sullivan's Island, and Isle of Palms. You'll find a different flavor at each one!